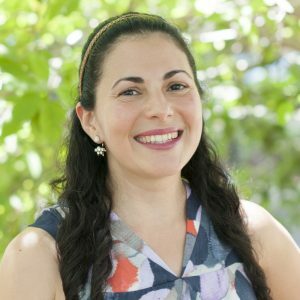 Dorlisa Banbanaste is a Qualified MBSR teacher and is seeking Certification through the Center For Mindfulness at the University of Massachusetts. She holds a degree in Music Theory and Performance and a Master’s degree in Mental Health Counseling. She has worked with children, teens and adults struggling with substance use and mental health issues since 2007. She valued bringing mindfulness to her clinical work and introducing her clients to mindful games and practices. Dorlisa participated in the IJ-MBSR Program with Valerie-York Zimmerman and from then on knew formal mindfulness practice would always be a part of her life. Recently she has participated in an MBSR Program and MBSR Teacher Tutorial with Zayda Vallejo. During her tenure at MKM she has co-led a Mindful Teachers’ Training Program, a Grads Group mindfulness series and lead mindfulness workshops throughout the county. Dorlisa aspires to help others in an integrative and research-based platform as a part of Mindful Kids Miami while the organization continues to develop and fill a major need in Miami-Dade County.